The council’s revived civil rights committee would be chaired by Councilor Josh Zakim (above). In a recognition of just how much President Trump has changed the political landscape at all levels, the Boston City Council will consider this week bringing back its Special Committee on Civil Rights. The committee disbanded last year because, at the time, it was not holding many meetings and council President Michelle Wu said she felt every committee should infuse civil rights into its mission. If approved by a two-thirds vote at Wednesday’s meeting, Wu said the new civil rights committee would be the intended local hub for all of Boston’s Trump-related frustration, which is seemingly ever-growing. The new committee, according to Wu, would also convene experts to hold “policy briefings” and panels on non-Trump-related issues of civil rights. There would be no financial costs for taxpayers, according to Wu and council staff. But the bulk of the work would focus on the torrent of actions coming from Washington, D.C., including the immigration ban affecting seven majority-Muslim countries, Trump’s proposed border wall between the United States and Mexico, and his repeated baseless claims of widespread voter fraud. To be clear, the committee will have no power to affect national policy making, and Trump’s White House is unlikely to be intimidated by a city council where the range of political ideologies mostly stretches from liberal to very liberal. But the council’s move to re-create the committee, which is expected to be approved, could further solidify Greater Boston’s reputation as a leading arena for the pushback against Trump. Many of America’s largest cities have Democratic elected officials, but few have had comparable throngs like the local women’s march and the Copley Square rally against the proposed ban of mostly Muslim travelers. 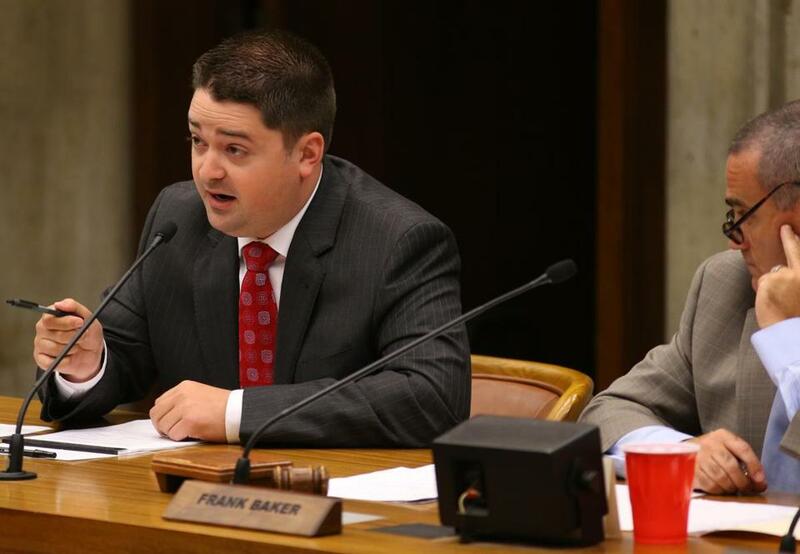 As in its previous iteration, the council’s civil rights committee would be chaired by Councilor Josh Zakim, who represents Back Bay, Beacon Hill, Fenway, Kenmore Square, and Mission Hill. When reached by phone Monday, Zakim said civil rights are “under assault” by the Trump administration, and that he hopes the new committee could convene residents, experts, and activists who could help plot the best means of local resistance. When Wu, Zakim, and their fellow councilors opted to disband the committee in January 2016, no one expected the current political climate, Zakim said. The committee’s purpose this time around would be more important than ever, he said. The City Council is the latest set of elected officials who have changed their approach to reflect a renewed anger among Massachusetts’ voters. The state picked Hillary Clinton in the 2016 presidential election by a 27-percentage-point margin. Secretary of State William Galvin, the state’s top elections official, challenged Trump to “put up or shut up” regarding his claims of voter fraud. Even Governor Charlie Baker, a Republican, has voiced consistent opposition to the president’s most controversial policies. Carl Williams, a staff attorney at the American Civil Liberties Union of Massachusetts, said while he was pleased with the pushback from Bay State politicians, more can be done. He encouraged residents to prod their civic leaders for more specifics on how local officials would deploy their police forces, given a Trump-imposed round of mass deportations. “That’s something that everyone in every community across Massachusetts can do,” Williams said, before praising the large-scale activism that has taken place in the state already. According to several councilors, Boston residents have been bombarding them with questions about federal policy since Trump’s election. Zakim and Wu said they have heard from families worried about how Trump, elected mostly by a less diverse constituency than resides in Boston, will enact policies that destroy their shot at the American dream.